Rajasthan is royal state of India and has been one of the hottest destinations in Asia Travel in 2018. Millions of tourists had visited Rajasthan this year and many more are yet to come. The splendid palaces, majestic forts, old traditions, culture and heritage of Rajasthan entices tourists to come across the different parts of the world to experience the Rajasthan Tour. What makes Rajasthan a must-visit place in Asia? When we think about Rajasthan, then few things like deserts, puppets, handicrafts and forts come into our mind but there is a lot to do and see at this beautiful destination. Every city is colorful in Rajasthan like Jaipur is pink, Jodhpur is blue, Udaipur is white due to the lake and Jaisalmer is golden. People think that Rajasthan is only about dry and sandy deserts but it is not true. There are few places where you will not find sand and dryness like Udaipur is a lake city and there is no dryness. So, Rajasthan has a combination of various types of landscapes. From lake to hills and deserts to plains, one can witness all at one destination. Rajasthan is known for their grand hospitality. People would welcome you and treat you in a royal style and you will be amazed to see how friendly they behave. People in traditional attire like women in ghunghat and men in turban can be seen only in the rural areas of Rajasthan. The fairs and festivals are celebrated with so much fun and enthusiasm. If you plan Rajasthan Holidays during a festival like Diwali, Teej festival, Kite festival, Gangaur festival, then you can get a deep insight of the culture of Rajasthan. Jaipur is a pink city and royal capital of Rajasthan. The colorful bazaars, palaces and forts make Jaipur an ideal place to visit. Relish your taste buds with the delicious food of Jaipur. Amber Fort, Hawa Mahal, Jal Mahal, City Palace and Jantar Mantar are few places which should not be missed during Jaipur Sightseeing. Jodhpur is the second largest city of Rajasthan after Jaipur. The city is also known as the Blue City for its blue painted buildings. Mehrangarh Fort, Umaid Bhawan Palace, Jaswant Thada and Clock Tower can be visited while being in Jodhpur. Also the local shops can be explored to enjoy the shopping here. 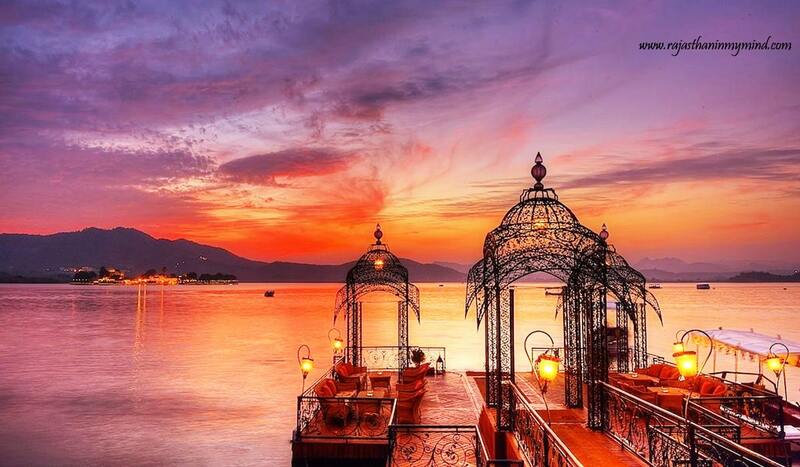 Udaipur or the city of lakes is the most romantic city of Rajasthan. The scenic views and exciting boat ride at Lake Pichola is the main attraction in Udaipur. City Palace, Saheliyon-ki-Bari, Fatehsagar Lake, Lake Palace, Jagmandir and Jagdish temple are major attractions of Udaipur. Bikaner is another popular destination of Rajasthan, also known as Camel Country. Along with fort and palace, do not miss the exploration National Breeding farm where a large number of camels with different breeds can be spotted. To enjoy the Rajasthan Desert Safari, there is no other place better than Jaisalmer, also known as golden city. Explore the major attractions of Jaisalmer and experience an excursion to the Sam Sand Dunes where camel safari, jeep safari and camping can be experienced. To explore all the above major destinations, embark on the 10 Days Rajasthan Tour and make your trip memorable by exploring one of the hottest destinations of Asia Travel 2018. Rajasthan in my mind offers the best Rajasthan vacations. Book Rajasthan Holidays and explore all the tourist places in Rajasthan. Some of the places to visit in Rajasthan are Jaipur, Jodhpur, Udaipur, Jaisalmer, Bikaner etc. All the Rajasthan tour Package can be customized.